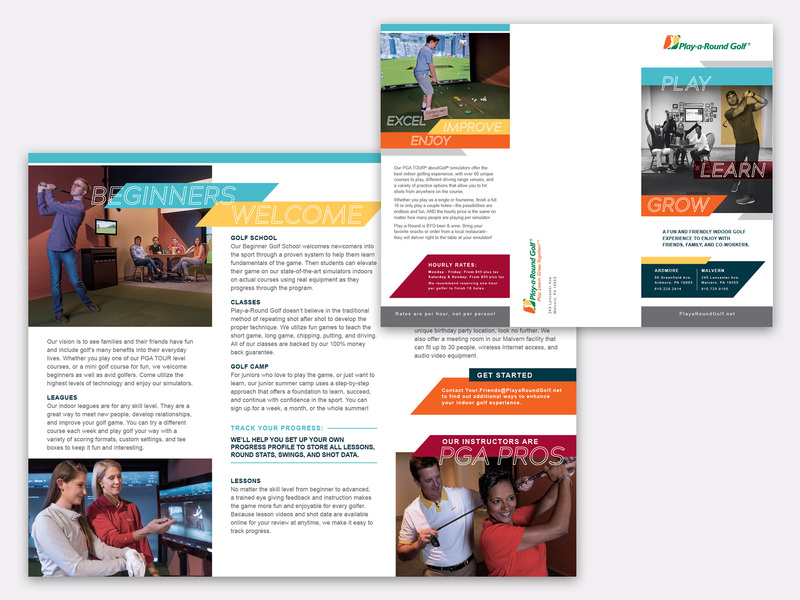 What started out as a request for a new brochure had us looking at Play-a- Round’s identity and marketing material as a whole. Play-a-Round’s photo library consisted of pictures taken by employees and guests on smart phones, and weren’t diverse enough to include all the demographics Play-a-Round was targeting. 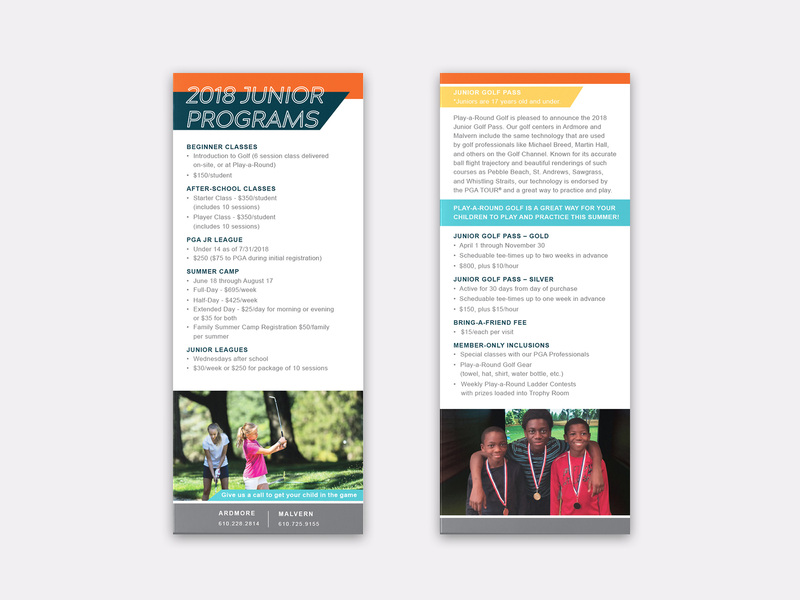 The current website wasn’t mobile friendly and needed a photographic and copy refresh to bring it up to modern standards. Their mixture of sell sheets and flyers were all created at different times so they had few unifying elements. 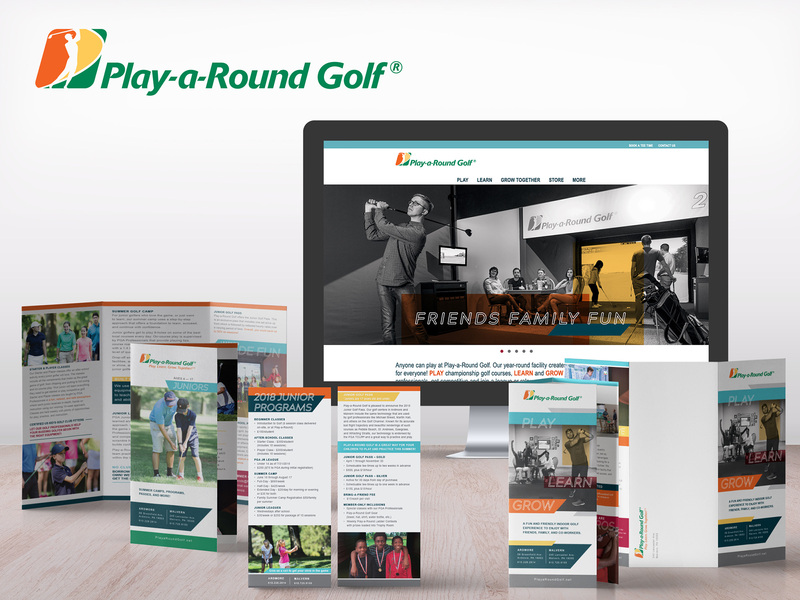 Therefore, in discussions with Play-a-Round, it was decided that in addition to the brochure, a professional photo shoot and a website refresh was needed. Play-a-Round knew it needed to widen their customer base, and came to us to help make it happen. Play-a-Round’s primary demographic was similar to golf as a whole –men, usually middle-aged, and, usually, unaccompanied. Play-a-Round’s goal was to spread the word that the facility, and in the process, golf, is for everyone and does not have to be a solitary activity. 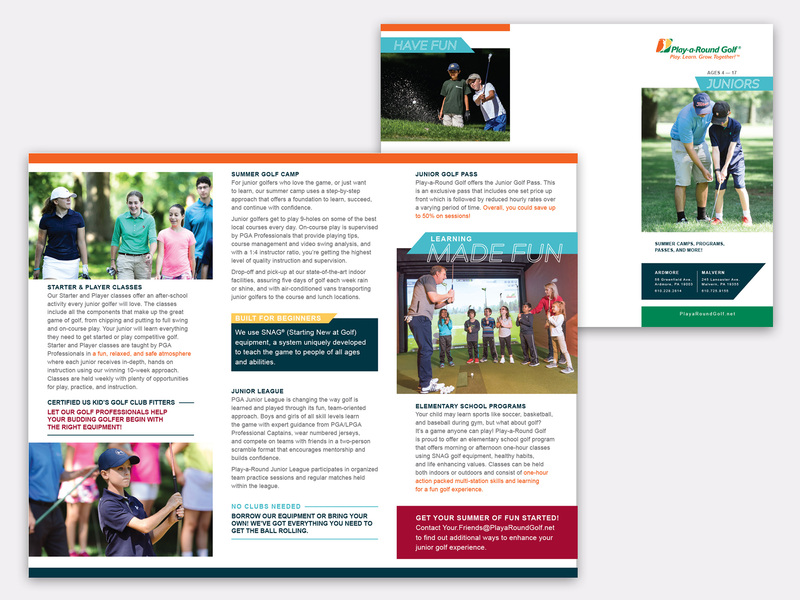 Play-a-Round is about making golf fun for everyone at any age or ability level. In order to visually appeal to our target audience, update the marketing and digital collateral, we needed to show this audience in the scene. So our first priority was to commission a photo shoot with a diverse roster of women, men, and youths of all ages enjoying the facility. We also needed to wake the brand up a bit if we were going to appeal to a younger demographic. An updated color palette, striking design elements, and action shots were just a few ways we intensified and unified Play-a-Round’s overall presence. This modernized look and streamlined approach to copy highlights the state-of-the-art technology within the facility. And when applied to the website, easily digestible content and the capability to reserve a spot for singles and groups are at the forefront. 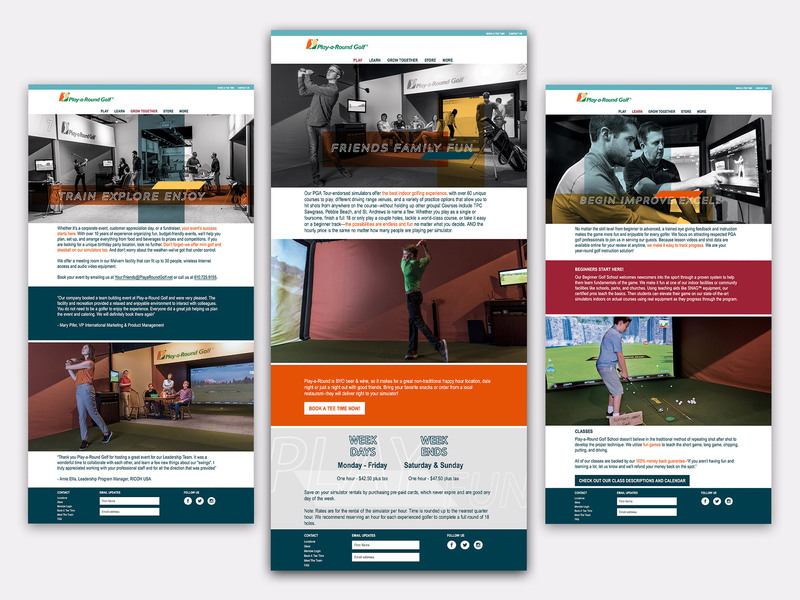 New marketing materials, a folio of professionally shot photos, and an easy-to-navigate website are ready to catapult Play-a-Round into appealing to a wider demographic. This project also won in the branding category for Graphic Design USA’s 2018 awards.